Padyami: 1st day of Karthika Masam, Should go to Lord Siva or Lord Vishnu temple to pray them to give strength to do the puja for the whole month. This is the Day we start lighting Akasa Deepam. The Lamp you light either at the entrance of your house or at Siva or Vishnu temple. Vidiya: 2nd day of karthika masam, Brother should go to his sister's house on this auspicious day and eat the food cooked by her and bestow her with blessings and gifts. Thadiya: 3rd day of the month, Good Day to do Thrilochana Guri Vratham. Those who are unable to do the Vrath can do Kumkuma archana or Puja to Maa Parvathi on this day. Chavithi: 4th Day is Chavithi, It is said to be Nagula Chavithi in Andhra. On this day its good to worship Lord Subramanya swamy (Murugan). Panchami: 5th day is Panchami, also known as Jnana Panchami. Need to do archana for Lord Subramanya swamy. Shasti: 6th Day is Shasti, Should not eat your favorite items today. Navami: 9th Day is Navami, good to start Vishnu Thri rathra vratham, which need to be done for 3 days. Its good to do puja for Lord Vishnu in the evening and Night time. Ekadasi: 11th Day is Ekadasi, Do fasting (Upavasam) and break the fast on Dwadasi. Dwadasi: 12th Day is Dwadasi, known as Khseerabdi Dwadasi . Lord Vishnu will wake up from his yoga nidra on this day. Do Puja to Lord vishnu. Good to do Puja under Gooseberry tree or Tulsi plant. Vidiya: 17th Day is Vidiya, Good day to do Vana Bhojanam. It is said that offering prayers to Lord Vishnu under Gooseberry tree and then having food there with relatives and friends will bring great benefits. Shasti: 21st day is Shasti, Need to do Puja to Grama Devatha. Good to donate what ever you can depending on your status. Chaturdasi: 29th Day is Chathurdasi, Today is known as Masa Siva rathri, Need to pray lord siva and doing fasting in day time is good. Amavasya: 30th Day is Amavasya, Need to donate food on the name of pithru devathalu (the deceased). Good to do fasting. Last day of lighting Akasa Deepam. Need to light the lamp at temple and offer coconut to Lord. Another legend has it that the lamps lit symbolically represent knowledge, victory and peace. Muruga as Kumaraguru is believed to have taught the meaning of ‘OM’ to Lord Shiva. Thus the lamps lit on the day are in remembrance of sharing the ultimate knowledge of ‘OM.’ The knowledge of OM helps in enlightenment and emancipation. 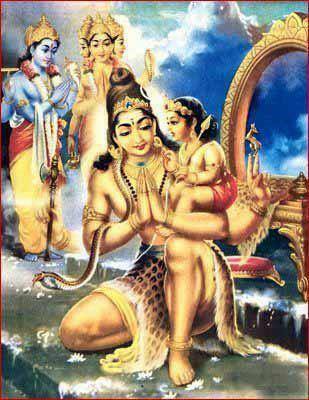 Another legend associated with Karthika Deepam is that King Bali surrendered before Lord Vishnu. King Bali attained moksha by surrendering all his wealth and himself before Lord Vishnu. Special offerings made from puffed rice and beaten rice is believed to be due to this legend. Karthika Poornima also recognized as a whole moon day that is celebrated on the fifteenth lunar day of the Karthika Thirty day period as for every the Vedic Calendar (November – December). It is also regarded as Tripuri poornima. This is just one of the most auspicious, sacred, highly effective and really exclusive day, each for Lord Shiva and Lord Vishnu in Karthika masam. It celebrates in a particular method in Thiruvannamalai, Lord Shiva asks Lord Brahma and Lord Vishnu to uncover out the correct area of his head and his feet. Because Lord Shiva takes a gigantic kind, they under no circumstances get to the head or feet. The Lord Shiva will take the form of a jyothi (mild of fire) on the hill of Thiruvannamali. Right here, a specific torch is lighted on the Zenith of the hill and it is thought that Lord Shiva’s jyothi will be noticeable on this day. Similarly the “Karthika deepam” which will be lightened is called “Akasa Deepam” staring from Karthika Shukla Padyami till the end of the month by worshiping in a sacred manner every day and the flag hoisted over to Dwajasthambhams in all the temples. It is told that in olden days the Deepam became useful to the travellers or navigators in the sea or canal as star light informing them about the existence of temple, Village or people nearer to them and they used to come there to take rest for relief in their onward journey. Karthka poornima celebrations are associated with the legend ot he demon Tarakasura. Tarakasura was demolished by Lord Karthika, also known as Skanda or Kumara. Another legend associated with Karthika poornima is of Lord Vishnu’s Matsyavatara. It is believed that on this day. Vishnu was incamated in the Matsya roopa, and protected manu, the first man, from the maha pralaya (deluge). Nagula Chavithi is an auspicious day to observe Naga Puja. Nagula Chavithi is observed on the fourth day (Chaturthi) after Deepavali Amavasya during Karthika masam. Nag Panchami and Nagasashti are observed after Naga Chaturthi. In some parts of Andhra Pradesh it is also celebrated in the month of Sravana masam. Nagula Chavithi, a festival to worship Nag Devatas (Serpent Gods), is mainly a women festival. Nagula Chavithi is observed by married women for their well being of their children. During the Chavithi festival, women keep fast and observe Naga Puja. Devotees offer milk and dry fruits to Sarpa Devata at the Valmeekam or Putta (snake pits). On Nag Chaturthi day, Ashtanag (seven hooded cobra) is worshipped. Kaisika Ekadasi or Karthika Ekadesi is the might of the procession of ugra srinivasa of tirumala temple. This is also called uthana dwadasi in common terminology was reintroduced last year in tirumala on kasika Dwadasi day in Karthika Masam which was discontinued a few centuries ago, Vanabhojanotsavam was performed in tirumala, In this fete Sri Malayappaswamy along with his consorts Sridevi and Bhudevi was taken in a procession to parveta mandapam in the morning and Tirumanjanam, Archana, Asthanam and Naivedyam was offered to the deities and the prasadam was distributed among devotees. Vanabhojanam or Karthika Vanabhojanam is a kind of annual ritualistic picnic undertaken during Karthika masam in Andhra Pradesh. As per Hindu tradition, plants are considered to be of divine nature and worshiped as Gods. Certain plants like Tulsi, amla, bilva and durva plants are considered as divine and used in Pujas. It is widely believed that Lord Vishnu and Goddess Lakshmi prefer to reside under Amla trees during Karthika month. Hence during Karthika Vanabhojanam, amla trees are worshipped by the telugu community in Andhra Pradesh. People also offer puja to Lord Vishnu and recite the Vishnu purana and Karthika purana during Vana Mahotsavam rituals. During Karthika Vanamahotsava, traditionally people cook food under these trees after puja and consume the food as prasad. Traditionally people had atleast one amla plant in their courtyard. But nowadays due to congestion in cities, people observe Vanamahotsava more as a cultural festival than as a religious event. Many organisations arrange for an outing on this occasion and perform the puja of Vishnu and have food in the nearby gardens. 'Koti Somavara Vratham' is observed in 'Shravana Nakshatram' (star) which usually comes before 'Karthika Pournima'. People perform the rituals like Abhishekam and Rudrabhishekam as stated above and lit three ghee lamps before The Lord Shiva and Goddess Parvathi. It is said that one who lights the lamps will attain moksha from all the sins (even from all the life times), also relieves from all the belongings and bonds on earth. It is also said that one who perform this will be happy forever and reach 'Kailasam' after death. The prayers and rituals are observed as stated as above expect for the 'Rudrabhishekam' which is performed for 11 times this day to attain moksha. Soma is the another name of Lord Shiva. Known as Someswara, who keeps the “Soma” the Moon on crescent on his matted hair. The Kartik Somawaram Vratam is performed to please the Lord Someswara (Lord Shiva). All mondays in this Month are aspecious and one can perform Pooja, Abhisheka, to Lord Shiva to get the blessings of Shiva. This is the most favorite month for both of the Supreme Gods Lord Vishnu and Shiva. Praying to Lord Vishnu and Shiva during Kartik maas fetches them Moksha (Salvation). Kartik month is treated as the Sin-destroying month as per Hindu Ethics. Satyanarayan Pooja is one of the best & easiest ways to seek blessings from Lord Vishnu, who is the God responsible for maintenance of this Universe. Typically Satyanarayan Pooja is to be performed before and/or after the fulfillment of our desires e.g. if you want to achieve some important milestones in your life like success in Higher Education, Success in career, promotion, buying a new vehicle, new house, starting a new business, negotiating big professional deals etc... Satyanarayan is also useful if someone in the family is not well. In order to maintain general happiness, prosperity and well being of the family it is advisable to perform Satyanarayan Pooja at least once every year. There is no hard and fast rule as to when Satyanarayan Pooja to be performed. Morning or evening time is ideal for Pooja. You can perform it after major achievements in life. So also it is ideal to perform Satyanarayan Pooja once every year. It is a great auspicious occasions to invite friends and relatives. It is a custom to have some program of singing, dancing, playing musical instruments etc.. with well wisher friends and relatives after the Pooja is over. Satyanarayan Pooja is to be performed on an auspicious day in consultation with Panditji. Satyanarayan is about 3.5 to 4 hours Pooja. Paitha Mahakruchcha Vratam is a five day ritual observed in the Karthika Krishna paksha in the southern states of Andhra Pradesh and Karnataka. This is dedicated to the worship of Lord Vishnu. This vrata starts on Karthika Krishna saptami and ends on the Karthika Krishna Ekadashi. During Paitha Mahakruchcha Vrata, Lord Vishnu is worshiped for five days by fasting and on the fifth day, i.e. the day of Uttuvana Ekadasi the fast is broken and on the next day usually the tulsi vivah is conducted with Lord Vishnu in some places. People observe fast during all the five days of the vrata. However, it’s not a complete fast as prescribed and certain foods are allowed to be taken on certain days. During Paitha Mahakruchcha Vratha, according to tradition, these foods are allowed to be taken on the particular days. On the first day of the vrata, ie the karthika krishna saptami, water is the food for the day. On the second day of the vrata, ie the karthika krishna asthami, milk is the food. On the third day of the vrata, ie the karthik krishna navami, curd is the food, On the fourth day of the vrata, ie the karthik krishna dashami, ghee is the food and on the final day, ie the karthik krishna ekadasi, fast is broken after performing the Vishnu Puja. Nattallu or Natta Vratam is observed by the devotees. The process of observing Nattallu or Natta Vratam is to fast for the whole day and eat only after seeing the stars for the whole month of Kathika Masam. So only if this routine is followed for the complete month it is called as Natta Vratham or Nattalu.